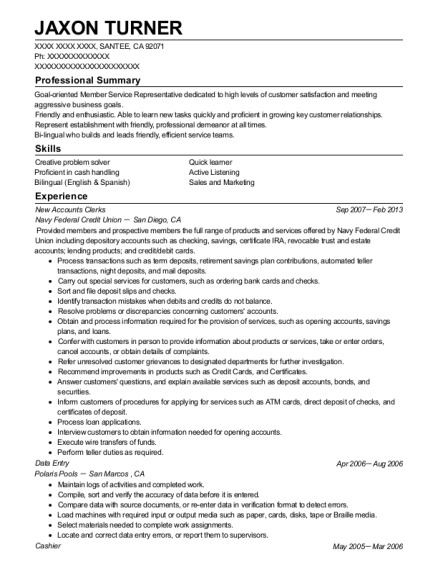 Friendly and enthusiastic associate with nine years of specialization in customer services and sales. Able to learn new tasks quickly and proficient in growing key customer relationships. Represent establishment with friendly, professional demeanor at all times. Passionate and motivated, with a drive for excellence. Goal-oriented and very dedicated to high levels of customer satisfaction and meeting aggressive business goals. 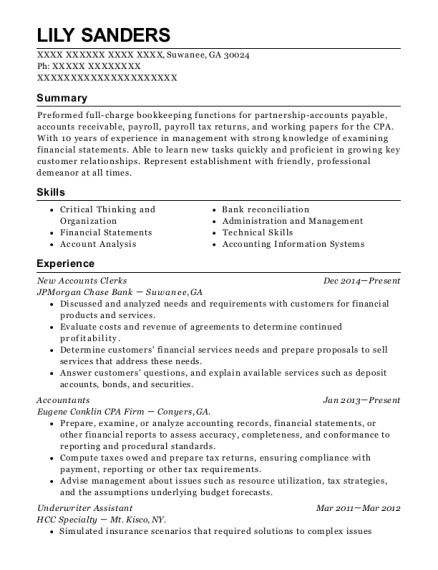 This is a resume for a New Accounts Clerks in Lakemoor, Illinois with experience working for such companies as First American Bank and The Private Bank. 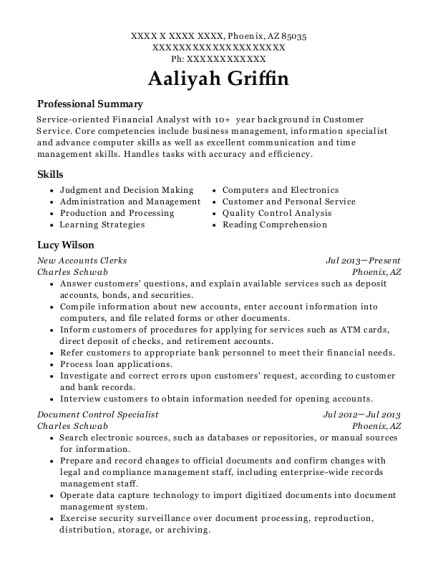 The grade for this resume is 0 and is one of hundreds of New Accounts Clerks resumes available on our site for free. 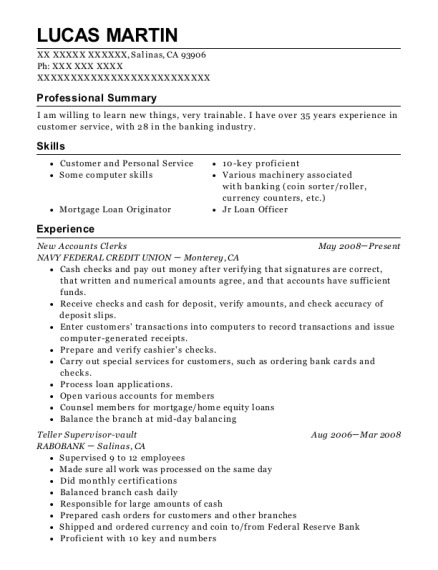 Use these resumes as templates to get help creating the best New Accounts Clerks resume.